The Hörmann Group is Europe’s leading door supplier. 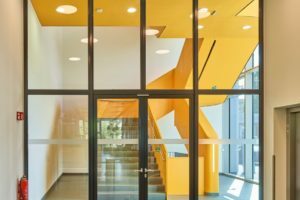 More than 6,000 employees in 38 specialised factories in Europe, North America and Asia develop and produce high-quality doors, frames and operators for use in private and commercial properties. The headquarters of the globally active Hörmann Group is located in the small town of Steinhagen, near Bielefeld, Germany. The still family-run company recently recorded an annual turnover of more than 1 billion euros. Hörmann grew and established its reputation with garage doors for homes. Today, the variety of doors, as well as matching operators, is still a very important pillar in its product range. 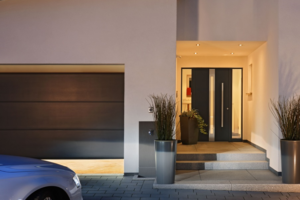 In this sector, Hörmann additionally produces high-quality entrance and side doors, residential doors made of timber and glass, as well as sheet steel doors and door frames. Hörmann also plans and installs fire protection and multi-function door systems for construction projects. 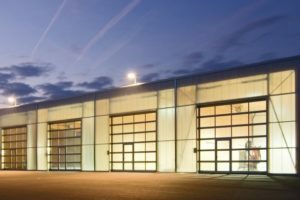 Industrial door systems are a further sector, including sectional doors and rolling shutters, as well as high-speed and fire-rated doors – all controlled manually or via an operator and control system. Further, Hörmann supplies complete loading technology solutions comprising dock shelters, seals, dock levellers, and loading houses. The product range has also been expanded to include perimeter protection systems. These include high security bollards and barriers to protect against unauthorised access to public and private areas. Hörmann products protect people and assets. The brand stands for appealing design, maximum functionality and durability; it links German quality with innovation and the best service. Hörmann is present with 14 regional sales offices in Germany and over 100 individual sales locations in more than 40 countries, and is represented by sales partners in over 50 other countries. 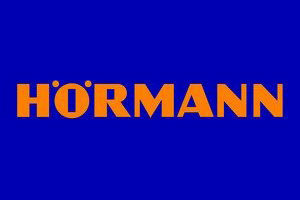 Worldwide, the Hörmann brand stands for high-quality garage doors, entrance doors, residential doors and operators. Hörmann industrial door systems and loading technology stand for superior design, maximum functionality and a long service life. Hörmann aluminium and steel tubular frame parts combine fire protection requirements with maximum transparency.